Ready to bring a new friend into your home? Come to our latest Albuquerque adoption event and meet and greet, nose to nose to find that special somebun. The NM house rabbit volunteers will be chaperoning a selection of adoptable buns, and can answer all your questions about care and behavior. We will be offering free nail trims too so bring a bunny for it’s periodical pedicure! Donations are always gladly received. 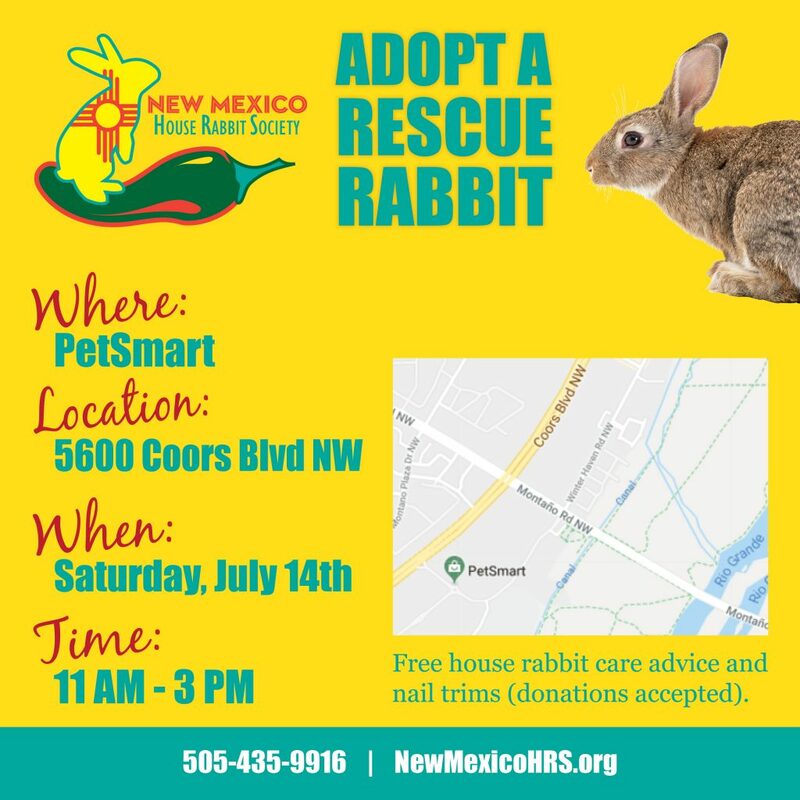 The event is on Saturday, July 14th at Petsmart, 5600 Coors Blvd NW, Albuquerque, NM 87120 from 11am to 3pm. abq, adoption, nail trims. Bookmark.